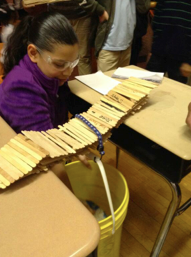 The students in our MIT D-Lab STEAM collaboration at the JFK Elementary School really loved the final bridge-building project we did in December! 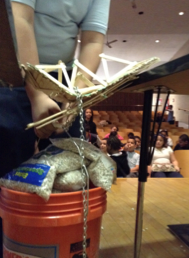 The kids had a design challenge to prepare them for real world application. This challenge helped prepare students to face our current economic challenges. When given this type of opportunity to learn real life skills, students will ultimately make these types of amazing contributions to our society! The JFK students created these bridges by first interpreting different paintings featuring bridges. They identified types of bridges and elements of bridge structure, such as beams, arches, and suspension wires. They then connected the concept of triangulation to the use of triangles in trusses. 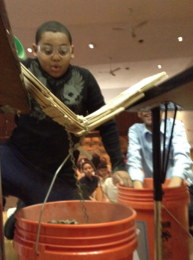 Finally, the students had to explore and demonstrate tension, compression, and balance! The JFK students did unbelievable work! 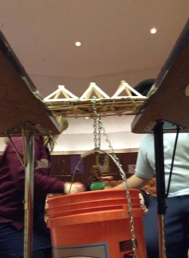 Take a look at some of their awesome handmade bridges!